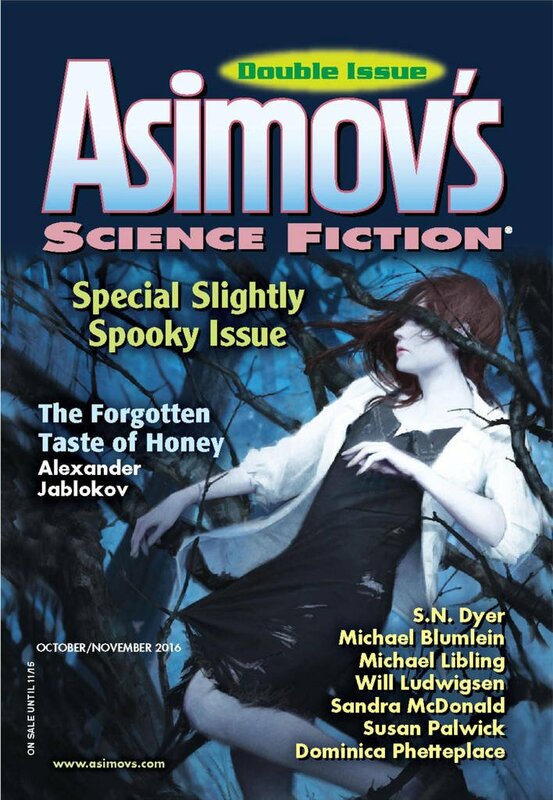 "The Forgotten Taste of Honey," by Alexander Jablokov [bio] (edited by Sheila Williams), appeared in Asimov's Science Fiction issue 10-11|16, published on September 22, 2016 by Penny Publications. Pro: Tromvi succeeds in getting the girl's body past the gate, and she succeeds in getting Oppi away from the valley. We even think she'll succeed in finding settlers for the abandoned valley. Con: We're left feeling that Oppi wasn't worth saving. We respect Tromvi's energy, but we're not emotionally attached to her either. The scenes of eating honey from a rotting corpse are pretty gross. Well, this is a "slightly spooky" issue so corpses and gruesomeness are on the cards. I really liked the world building in this one, although I was struggling to work some of it out wet the valley god. 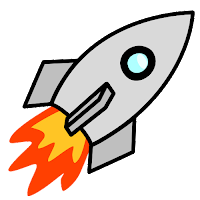 The characters worked for me, although the gatekeeper with dubious motives was too simply drawn. Interesting and I'd like to hear more. This somehow managed to be both boring AND gruesome to me. Not my cuppa tea.